Great price and square footage (4320sq ft)! This almost new 1 1/2 story with large yard and finished walkout with patio will not disappoint! Home features open floor plan, floor to ceiling stone fireplace, 2 laundry areas, "mom's" office off kitchen, formal dining room, walk-in closets in every bedroom, workout room, craft room, covered deck with golf course views. Home has been lightly lived in and extremely well taken care of. Totally move in ready! Parkville is located in Missouri. Parkville, Missouri 64152 has a population of 475,378. The median household income in Parkville, Missouri 64152 is $45,376. The median household income for the surrounding county is $68,638 compared to the national median of $53,482. The median age of people living in Parkville 64152 is 35 years. 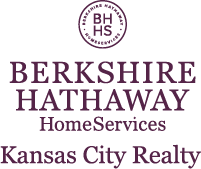 I am interested in 5900 S NATIONAL Drive, Parkville, MO 64152.